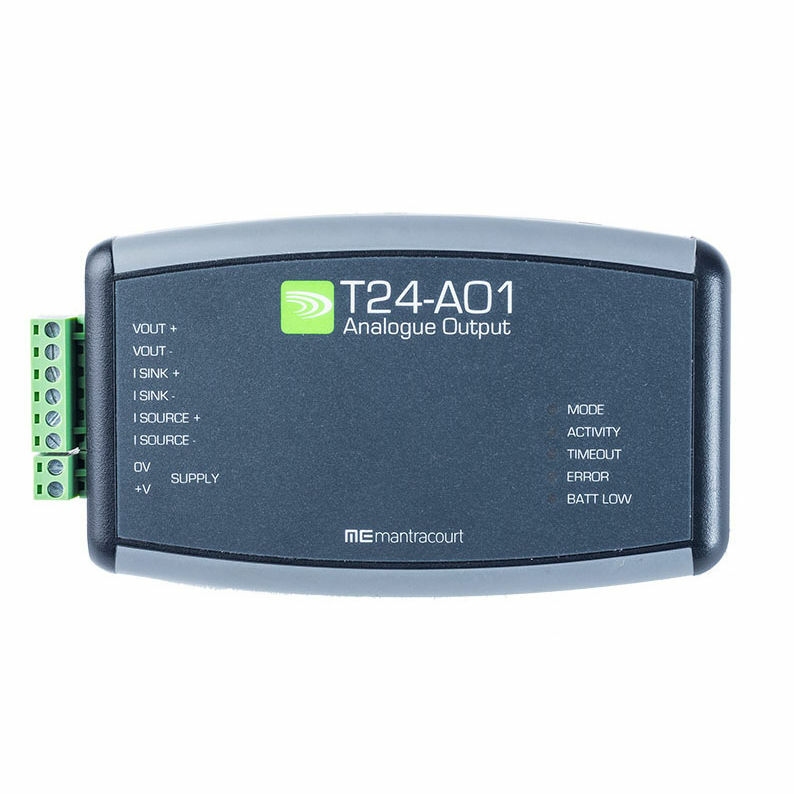 The analogue output modules provide a configurable analog output for a single T24 radio telemetry acquisition module. The output can be selected from the pre-calibrated voltage and current ranges of 0-10Volts, ±10Volts, 0-5Volts, ±5Volts, 0-20mA and 4-20mA (All current outputs both sink and source). LED indictors provide status indication of the condition of the radio link, remote battery life and remote sensor status. 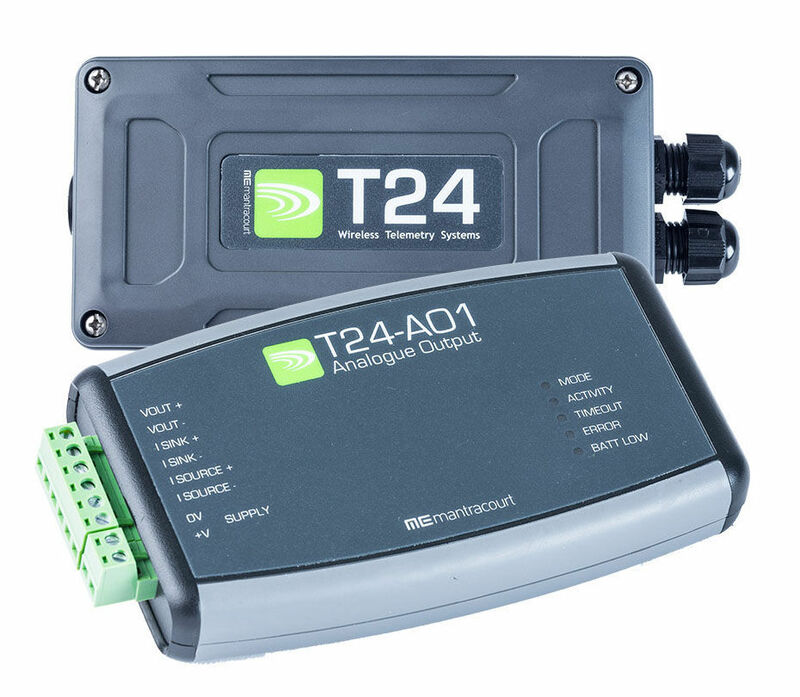 These modules are configured and scaled using free T24 Toolkit software which runs on a PC connected to a T24 base station. The industrial version is housed in an IP65 NEMA4 sealed enclosure and offers a digital input allows for zeroing of the incoming data value. This version also offers extended range over the desktop version.